I've decided that my oldest son, Sahib Jr., should be the Secretary of State. Being as he is only 12, we could have potential child labor issues, but he definitely would cut through the crap. He asked me the other day, "Dad, what's all this stuff about Iran and atomic bombs?" He did a National History Day project on the bombing of Hiroshima and Nagasaki and is interested in the topic. I outlined the situation and asked his opinion. He replied, "They're stalling." I asked him to explain. He said, "It's like in wrestling when I'm up big on a stronger kid late in the match. As long as I don't do something dumb and get pinned, I'm gonna win. So I stall. That's what they are doing." And there you have it devoted readers... wisdom from the mouths of babes. (Please no one tell him I referred to him as a "babe"!) The question I have is that if a 12 year old (albeit geopolitically brilliant one like his old man) can figure it out, why can't the president backed by the "genius" of the State Department? I know you lefties out there have changed your mantra of "Give Peace a Chance!" from the '60s to "Give Sanctions a Chance!" today. Just one question: When have sanctions worked? EVER? Hmmmmmmmmm? The President and his advisers are idiots. 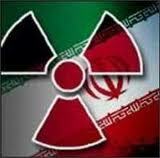 They have some reason to help Iran stall an attack from Israel until they have a working atomic bomb. Either of these possibilities scares the peewaden out of me. Here's to hoping the following video is an analogy for what Israel is about to do to Iran. The big kid (Israel) restrains himself for fear of getting in trouble with the teachers (US, Europe, Russia, et. al.). The little a**hole kid (Iran) keeps picking on the big kid (Israel) "knowing" he won't fight back. Enjoy viewing the results. Hopefully the "cut the crap" wisdom of kids will trump the politically correct stupidity of adults. Not an idiot ... a short-sighted ditherer who is way over his head , especially on the International scene ... but there is a 3rd and more likely explanation. 3. The pending November election. If Israel strikes first , the US will be drawn in , albeit unwillingly , and the price of gas will skyrocket . Obama will be blamed for not supporting Israel. If the US strikes first , the price of gas will skyrocket and Obama will be blamed for starting a war. ... either way he will lose support come the election and may even lose the election. Obama is a little closer to the Islamofascists than he has ever admitted(I'm being kind expressing it in that fashion). I mean come on, the Muslim Brotherhood has infiltrated the Obama government's departments on so many levels that you have to conclude that either he is completely incompetent for not seeing it and doing something about it or the frightening answer is that he is in league with them. Why on earth would he order that all references to Islam being related to terrorism be removed from federal law enforcement training materials? Why would he go on ad nauseam,every chance he gets, about Islam being a religion of peace when anyone with half a brain knows that is a crock? Why would he speak about Islam at all on far more occasions than any other President ever has. It's all too much to be coincidence. The way I see it, the only way Obama will ever bomb Iran is if his hand is forced and he has absolutely no choice. I'm not even 100% sure on that as his behavior has become more and more like that of someone with a serious God complex and he doesn't appear any longer to feel that he has any responsibility to the will of the American people at all. Obama should have been impeached long ago, based on his abject failure to improve the economy, unemployment etc. You wouldn't even need to bring his failed foreign policy or the fact that he wants to send truckloads of money to countries that are now in the control of the Islamofascist, Muslim Brotherhood into it. This fall can't come soon enough for the American people and as soon as Obama is voted out of office, whatever Republican candidate that replaces him should turn Iran into a giant sheet of glass as one of his first duties in office. Not sure which one of you is correct, but I would sleep better if I thought he was just an idiot. Isreal will strike first and he will have to make a decision. Patticularly if it happens before November. If he doesn't back Isreal then he will lose the Jewish vote, which is predominantly democrat. If he goes to war with them he will probably lose the socialists in the peace movement. The sad thing is, thinking like this is probably what will shape his decision instead of doing the right thing. Which is backing Isreal. I really liked the wrestling analogy by your son. I used that tactic a lot when I was in school. Whether you believe that the Jews are God's chosen people or not, history has not been kind to countries and empires that abuse Israel. Sorry, Liberal Revolution! Just checked out your blog. Like you said on your blog, I misunderstood "Liberal". Good stuff. This is Sahib Jr. here! Nice one dad I really liked the post!